Rita Cucchiara is Full professor of “Computer Engineering and Science” (ING-INF/05 «Sistemi di Elaborazione dell’Informazione») within the Dipartimento di Ingegneria “Enzo Ferrari” (DIEF) at the UNIMORE, Università di Modena e Reggio Emilia, Italy. She is Director of the Interdipartimental Center of Research in Ict for Enterprise Softech-ICT (www.softech.unimore.it) of the Modena Technopole co-funded by the Emilia Romagna High Technology Network, under EU FESR programs . She helds the Research Lab Imagleab, active in Computer Vision, Pattern Recognition and Multimedia within Dipartimento di Ingegneria “Enzo Ferrari”. (www.imagelab.ing.unimore.it ). 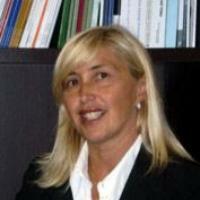 Since 2016 Rita Cucchiara is President of the Italian Association of Pattern Recognition, Learning and Computer vision GIRPR (Gruppo di ricercatori italiani in pattern recognition), affiliated to IAPR, and is a member of the IAPR Governing Board member. Since 2015 Rita Cucchiara is an Advisory Board Member of the Computer Vision Foundation, CVF.